In 2014, I created a conceptual crowd funding platform for young and aspiring musicians to utilize for acquiring their instruments and accompanying accessories. 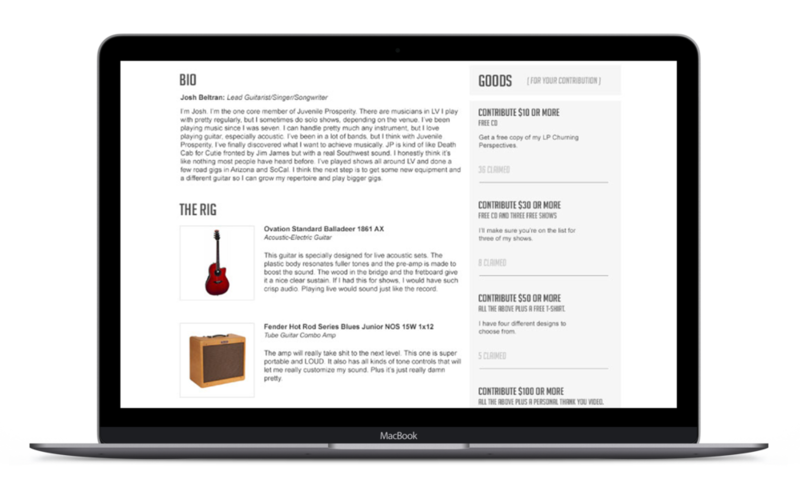 Conceptual design of the Landing Page and Artist Page from the Guitar Center Buy My Rig platform. Print ads for the Buy My Rig platform featuring copy inspired by famous rock bands The Beatles, The Police and AC/DC.